(NaturalNews) A lot of people today are confused about what homeopathy is (and isn`t). This situation is not helped by the skeptics of homeopathy who go to incredible extents to exaggerate and misconstrue what homeopathic medicine is. It is more than a tad ironic that these "skeptics" hold themselves out as "defenders of medical science," and yet, they commonly exhibit an embarrassingly poor scientific attitude when evaluating homeopathy and when determining what scientific evidence does and doesn`t say about it. Because many skeptics of homeopathy today indulge in spreading misinformation about homeopathy, this article is addressed at setting the record straight and is packed with references to confirm the veracity of what is being asserted here. First, to clarify, advocating for or using homeopathic medicines does not preclude appreciation for or use of selective conventional medical treatment. Advocates of homeopathy simply honor the Hippocratic tradition of "First, do no harm" and therefore seek to explore and utilize safer methods before resorting to more risky treatments. This perspective has historical and international roots, and it is thus no surprise that American health care which has been so resistant to homeopathic and natural therapies in its mainstream institutions is presently ranked 37th in the world in the performance of its health care system. (1) In comparison, the number one ranked country in the world is France, a country in which around 40 percent of the population uses homeopathic medicines and around 30 percent of its family physicians prescribe them (2). 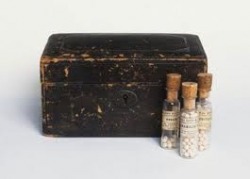 The fact that homeopathy became extremely popular during the 19th century primarily because of its impressive successes in treating the infectious disease epidemics that raged during that time is a fact that is totally ignored by skeptics. (3)(4)(5) It is highly unlikely that a placebo response is the explanation for homeopathy`s notable successes in treating epidemics of cholera, yellow fever, scarlet fever, typhoid, pneumonia, or influenza. Skeptics are wonderfully clever in trying to make up stories and excuses for the good and often amazing results that people get from homeopathic medicines. Most often, however, they simply say that "old news is no news," as they brag about not learning from the past as though this is a good thing. If that were not enough, studies testing the effects of homeopathic medicines on cell cultures, plants, animals, physics experiments, and chemistry trials have shown statistically significant effects. (11-16) Needless to say, the placebo effect in these basic science studies is virtually non-existent, while the effects from homeopathic doses are significant and sometimes substantial. Skeptics are virulently silent on the entire field of hormesis (the multidisciplinary science of evaluating the power of small doses of varied biological systems) and its thousands of studies in a wide variety of scientific disciplines. (17)(18) This silence on hormesis is completely understandable because their acknowledgement of this body of evidence obliterates much of their criticisms of homeopathy. The doses of homeopathic medicines that are commonly sold in health food stores and pharmacies throughout the world are in a similar low dosage range to the thousands of hormesis studies on low-dose effects. It is very odd that skeptics ignore the thousands of studies in this field, and yet, these same skeptics repeat their embarrassingly uninformed mantra of "where is the research?" It is indeed no wonder that these skeptics are often referred to as "denialists" or "medical fundamentalists" rather than skeptics. Actually, a better description of this principle of similars is the "principle of resonance," which any student of music knows has both power and hypersensitivity. The additional wisdom of this homeopathic principle is that its use leads to the prescription of medicines that mimic, rather than suppress, the symptoms and the innate intelligence of the human body. Because homeopathic medicines are prescribed for their ability to mimic the similar symptoms that the sick person is experiencing, it is no wonder that people find that these medicines augment immune competence and improve body and mind health. Sadly and strangely, the skeptics of homeopathy put much of their belief that homeopathy does not work on a review and comparison of homeopathic and conventional medical research that was published in the Lancet in 2005. (23) The Lancet even published an editorial in this same issue entitled "The End of Homeopathy." However, this "evidence" is a very controversial and some say extremely flawed review of homeopathic research. (24)(25) This review sought to compare 110 placebo-controlled homeopathic studies and with a "matched" group of 110 studies testing conventional medications. The researchers appropriately sought to evaluate only those studies that their criteria deemed of sufficiently "high quality." Despite the problems in comparing conventional medical research and homeopathic research, let`s assume that the two groups of studies ARE comparable. It is therefore more than a tad ironic that they found 21 of the homeopathic studies fit this definition of "high quality" clinical researcher but only 9 of the conventional studies did so. One would have thought that the researchers would then compare these "high quality" trials. However, this result would have shown that there IS a difference between homeopathic treatment and a placebo in a variety of ailments, and authors (who are known skeptics of homeopathy) could not allow that conclusion. Instead, Shang`s group chose to only evaluate a much smaller subset of these high quality trials. They limited the review to the largest trials in both groups to 8 homeopathic trials (with at least 98 subjects) and six conventional trials (with at least 146 subjects). Strangely enough, when evaluating only this last group of larger studies, they were not comparable in ANY way. The diseases that they treated were all different. And conveniently enough, the researchers asserted that one of the large trials testing homeopathic medicines in the treatment of patients with polyarthritis (arthritis in multiple joints) did not have a comparable trial (they actually asserted with complete seriousness that there has never been a study of patients with this common malady, and rather than admit that this large trial of 175 patients which showed significant efficacy of treatment, they simply threw out the trial from their evaluation). When one realizes that NONE of the studies in the final evaluation matched each other in any way, the researchers` decision to throw out this study on the homeopathic treatment of people with polyarthritis is additional evidence of the researcher`s strong biases and their efforts to prove homeopathy as a placebo "by hook or by crook." The researchers put a higher value of those studies with larger numbers of patients because they asserted that smaller trials are "biased," even though they were randomized double-blind and placebo studies (and many of which were published in the Lancet, the BMJ, and other highly respected conventional medical journals). One group of four studies on patients with respiratory allergies which included 253 subjects and was published in the BMJ(27) was not a part of the final analysis without explanation. An earlier study published in the Lancet with 144 subjects suffering from hay fever was also missing from the final analysis. (28) The fact that these studies showed a significant benefit from homeopathic treatment was ignored entirely. Using large number of subjects is "do-able" in homeopathy, though it is simply less frequent, due to the high costs of such studies and due to the fact that the profit margin for the sale of homeopathic medicines does not even approach that of conventional drugs. Also, it is a lot easier using conventional medicine than homeopathic medicine in studies because the very nature of homeopathy is the necessity to evaluate a person`s overall syndrome, not just any localized disease. This type of sophistication in individualized treatment is a part of good acupuncture treatment as well. For instance, the World Health Organization has deemed that childhood diarrhea represents one of the most serious public health problems in the world today because millions of children die each year as a result of dehydration from diarrhea. With this concern in mind, three randomized double-blind trials were conducted testing individually chosen homeopathic medicines for children with diarrhea. One of these studies was published in Pediatrics,(29) and another study was published in another highly respected pediatric medical journal. (30) All three of these trials showed a significant benefit from homeopathic treatment when compared with placebo. Similarly, four double-blind placebo controlled trials has shown benefit from the homeopathic medicine, Oscillococcinum, in the treatment of influenza. (31) Research has consistently found it to be effective in the treatment of influenza, though it does not seem to be effective in its prevention. The two new re-analyses of the Shang review of homeopathic research prove the old cliche, garbage in, garbage out. Junk data indeed creates junk science which creates junk and meaningless results. And ironically, THIS study is considered the `best" evidence that homeopathy does not work. If this is the best that they have, skepticism of homeopathy is not only dead, it is stupid dead. While I would like to think that this article would finally put the last nail in the coffin of skeptics of homeopathy, I know that Big Pharma will not allow that to happen. Further, these skeptics are often like religious fundamentalists who will believe what they want to believe no matter what. And then, there`s the impact from cognitive dissonance: many people who have invested their time and energy into conventional medicine simply cannot imagine admitting that homeopathy may have any benefit. It may be time to put that rotary telephone in the attic along with the typewriter and your former skepticism of homeopathic medicine. When you consider that homeopaths do this for 52 weeks of the year, skeptics of homeopathy should not have any problem IF they think that homeopaths are only prescribing placebos. Let`s see how many patients complain, call you late at night expressing concern about the ineffectiveness of your "medicine," and simply do not return for future health care. Any skeptic of homeopathy will be "cured" by this experience in humility. To clarify, homeopaths usually honor good skepticism, for a healthy skepticism seeks to truly explore a subject with knowledge and without arrogance. Further, good skepticism seeks to understand the wide body of evidence that it is necessary to evaluate to determine veracity of phenomena. It is the bad or ugly skepticism that breeds an unscientific attitude and that is simply a form of denialism, or in some cases, hyper-denialism. Sadly, many of today skeptics are fundamentalists who epitomize a "closed mind." Deepak Chopra said it so well when he asserted, "professional skeptics who are self-appointed vigilantes dedicated to the suppression of curiosity" (huffingtonpost, Dec 27, 2009). When such people do not want to learn from the past, do not even read the research (or only read those studies that confirm their own point of view), and maintain a high degree of arrogance, such "skepticism" isn`t skepticism at all: it is bad scientific thinking; it is an unhealthy attitude towards science; and it is a model for how not to learn. When the denialists assert and insist that homeopathy "cannot" work, it is important to remind them that "science" and "medicine" are not just nouns but verbs...science and medicine are ever-changing. ..and what may be today`s medicine is tomorrow`s quackery, and what may today`s quackery may be tomorrow`s medicine. This is not a prediction; this is history and everyone and anyone who is seriously interested in the science and art of real healing to explore what homeopathic medicine has to offer. As Mark Twain once asserted in 1890, "you may honestly feel grateful that homeopathy survived the attempts of the allopathists [conventional physicians] to destroy it." (2) Ullman, Dana. Homeopathic Medicine: Europe`s #1 Medical Alternative. www.huffingtonpost.com/dana-ullman ; also: Fisher, Peter, and Ward, Adam, "Complementary Medicine in Europe," British Medical Journal, July 9, 1994,309:107-110. (4) Rothstein, W. Physicians in the Nineteenth Century. Baltimore: Johns Hopkins University Press, 1972. (6) Jonas WB, Kaptchuk TJ, Linde K, A Critical Overview of Homeopathy, Annals in Internal Medicine, March 4, 2003:138:393-399. (7) Linde K, Clausius N, Ramirez G, et al., "Are the Clinical Effects of Homoeopathy Placebo Effects? A Meta-analysis of Placebo-Controlled Trials," Lancet, September 20, 1997, 350:834-843. (In 1999, Linde acknowledged that some new research reduced the significance of this review, but he never said or implied that the significance was lost. In fact, in 2005, he sharply criticized the Shang review of homeopathic research.) Also, Kleijnen J, Knipschild P, ter Riet G, "Clinical Trials of Homoeopathy," British Medical Journal, February 9, 1991, 302:316-323. (10) M. Weiser, W. Strosser, P. Klein, "Homeopathic vs Conventional Treatment of Vertigo: A Randomized Double-blind Controlled Clinical Trial," Archives of Otolaryngology--Head and Neck Surgery, August, 1998, 124:879-885. (11) http://avilian.co.uk/ --This site provides references and links to many high quality basic science studies. (12) Witt CM, Bluth M, Albrecht H, Weisshuhn TE, Baumgartner S, Willich SN. The in vitro evidence for an effect of high homeopathic potencies--a systematic review of the literature. Complement Ther Med. 2007 Jun;15(2):128-38. Epub 2007 Mar 28. (13) Rey, L. Thermoluminescence of Ultra-High Dilutions of Lithium Chloride and Sodium Chloride. Physica A, 323(2003)67-74. (14) Elia, V, and Niccoli, M. Thermodynamics of Extremely Diluted Aqueous Solutions, Annals of the New York Academy of Sciences, 879, 1999:241-248. Elia, V, Baiano, S, Duro, I, Napoli, E, Niccoli, M, Nonatelli, L. Permanent Physio-chemical Properties of Extremely Diluted Aqueous Solutions of Homeopathic Medicines, Homeopathy, 93, 2004:144-150. (16) HomBRex - a database on Basic Research experiments on Homeopathy. http://www.carstens-stiftung.org/ -- a database of over 1,400 basic science studies, accessed 12-31-09. (17) Calabrese, Edward. Hormesis: a revolution in toxicology, risk assessment and medicine. EMBO 5,2004: S37-S40. doi:10.1038/sj.embor.7400222. Calabrese EJ, Linda A Baldwin LA. Applications of hormesis in toxicology, risk assessment and chemotherapeutics. Trends in Pharmacological Sciences, Volume 23, Issue 7, 331-337, 1 July 2002. doi:10.1016/S0165-6147(02)02034-5. (19) Demangeat, J.-L, Gries, P, Poitevin, B, Droesbeke J.-J, Zahaf, T, Maton, F, Pierart, C, Muller, RN, Low-Field NMR Water Proton Longitudinal Relaxation in Ultrahighly Diluted Aqueous Solutions of Silica-Lactose Prepared in Glass Material for Pharmaceutical Use, Applied Magnetic Resonance, 26, 2004:465-481. Anick DJ, Ives JA. The silica hypothesis for homeopathy: physical chemistry. Homeopathy. 2007 Jul;96(3):189-95. (21) Prasad R. Homoeopathy booming in India. Lancet, 370:November 17, 2007,1679-80. (23) Shang A, Huwiler-Muntener K, Nartey L, Juni P, Dorig S, Sterne JA, Pewsner D, Egger M. Are the clinical effects of homoeopathy placebo effects? Comparative study of placebo-controlled trials of homoeopathy and allopathy. The Lancet. 366,9487, 27 August 2005:726-732. (24) Ludtke R, Rutten ALB. The conclusions on the effectiveness of homeopathy highly depend on the set of analysed trials. Journal of Clinical Epidemiology. October 2008. doi: 10.1016/j.jclinepi.2008.06/015. (26) EHM News Bureau. Condemnation for The Lancet`s Stance on Homeopathy. Express Pharma Pulse, October 6, 2005. (27) MA Taylor, D Reilly, RH Llewellyn-Jones, et al., Randomised Controlled Trial of Homoeopathy versus Placebo in Perennial Allergic Rhinitis with Overview of Four Trial Series, BMJ (August 19, 2000)321:471-476. (28) Reilly D, Taylor M, McSharry C, et al., Is Homoeopathy a Placebo Response? Controlled Trial of Homoeopathic Potency, with Pollen in Hayfever as Model. Lancet, 1985:881-6. (29) Jennifer Jacobs, L. Jimenez, Margarita, Stephen Gloyd, "Treatment of Acute Childhood Diarrhea with Homeopathic Medicine: A Randomized Clinical Trial in Nicaragua," Pediatrics, May 1994, 93,5:719-25. (30) Jacobs J, Jonas WB, Jimenez-Perez M, Crothers D, Homeopathy for Childhood Diarrhea: Combined Results and Meta-Analysis from Three Randomized-Controlled Clinical Trials. Pediatrics Infectious Disease Journal. . 2003;22:229-234. (31) Vickers A, Smith C. Homoeopathic Oscillococcinum for preventing and treating influenza and influenza-like syndromes. Cochrane Database of Systematic Reviews 2006, Issue 3. Art. No. : CD001957. DOI: 10.1002/14651858.CD001957.pub3. (32) M. Wiesenauer, R. Ludtke, "A Meta-analysis of the Homeopathic Treatment of Pollinosis with Galphimia glauca," Forsch Komplementarmed., 3(1996):230-234. (33) Baum M, Ernst E. Should we maintain an open mind about homeopathy? Am J Med 2009;122:973-974. (35) Frass M, Linkesch M, Banyai S, et al. Adjunctive homeopathic treatment in patients with severe sepsis: a randomized, double-blind, placebo-controlled trial in an intensive care unit. Homeopathy 2005;94;75-80. (37) Twain, M. A Majestic Literary Fossil, Harper`s Magazine, February 1890, 80(477):439-444. DANA ULLMAN, MPH, is one of America's leading advocates for homeopathy. He has authored 10 books, including The Homeopathic Revolution: Why Famous People and Cultural Heroes Choose Homeopathy (foreword written by Dr. Peter Fisher, Physician to Her Majesty Queen Elizabeth II), Homeopathy A-Z, Homeopathic Medicines for Children and Infants, and (the best-selling) Everybody's Guide to Homeopathic Medicines (with Stephen Cummings, MD). He is the founder of Homeopathic Educational Services (http://www.homeopathic.com), America's leading resource center for homeopathic books, tapes, medicines, medicine kits, software, and distance learning courses. Homeopathic Educational Services has co-published over 35 books on homeopathy with North Atlantic Books (which are distributed by Random House).